Hello guys! I'm ultrascati95 with some new features added to League of Legends with the Season 3 start patch. 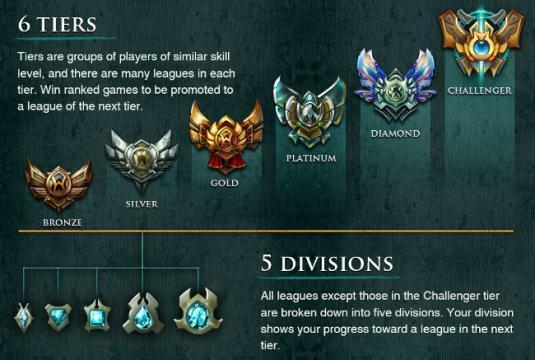 With that patch, Riot Games updated the ranked queue system; Now the elo won't be visible anymore but the visible part has been replaced by your Tier (Bronze, Silver,ecc...) and Division (I,II,III,IV,V). This show your current status and basing on that, you will meet only players of the same Tier and Division. To be promoted you have to reach a set target of League points (a sort of ranking meter): you have first to collect 100 League points and once you reach that, you will qualify for a promo series. A promo serie is based on a "Best-of-3" system, where you have to win at least 2 out of 3 games to being promoted, else your promotion will be denied and your League Points will be reset to a certain amount (don't know which yet). There are many divisions of the same grade, for example there's a Division IV of Bronze Tier called "Anivia's commander" and an other called "Evelyn's..." (Don't remember). So you won't be necessary in the same Division of your friends. Each Division hold 40-42 players listed in a leaderboard: this is one of the funniest part of this new ranked system. Your name will show in the leaderboard and the position is based on your League points, plus there's a badge system that allow you to share with others your mile stones reached while playing ranked. You can even see the current status of the players that have qualified for a promotion serie. Of course this system isn't a one-way system: you can be demoted to a lower grade too. If your league points reach 0, you are risking to be demoted! If you will keep losing even if you are at 0 LP, then you will be demoted. Of course if you are already in the lowest grade division of the Bronze Tier, you won't be kicked out of ranked queues, but your LP just will stay at 0. Earnt and lost LP depends on your game sorts and quality. For example if your team win and you did a bad score, you will earn about 11-12 LP; However if you win and do a positive score (KDA 1.50+) you will earn about 25-27 LP! Of course if you lose a game, you can only lose LP but if you will finish with a positive score, the LP lost will be minimal! One more thing is that players who love leaving during champion selection will have a lower ban time but will lose a certain amount of League Points! It's a very small amount so don't worry to leave 1-2 games to avoid trolls, since this will penalize heavily only players that keep leaving 6-8 times every 1 game. Now that i explained how does that new system work, let me show you the different Tiers and Divisions; You can have an overview in the image too. This is the lowest tier and, even if i don't believe there's an elo hell, i can aware you that this tier is full with the worst players in LoL (just unskilled), that are only bad but who don't want to hurt the team, and trolls (which play bad on purpose to ruin the game), that are the WORST thing that you will find in League of Legends and you MUST report everytime you see one. From this tier, trolls are very unlikely to be found but you will find sometimes unskilled players that don't want to hurt you anyway. Ahhhh, finally you are beginning to play in competitive games! Here you will find only good players while it's almost impossible to find unskilled players ^^ Gratz on reaching that grade. You are one of the players that have skills above the average in LoL (if i would do an estimate, i say that you are in the top 30% players). Games become to be much harder and competitives. There are only skilled players from here and the unique thing that can annoy you will be flamers and anti-sportiv players (who love to blame the losers and his team, example: "gg easy", "gg easy noob"). You are a big one player, who have skills in every role or almost, you are surely a positive player if you arrived there without being banned or penalized (you are about in the top 10% players!). Remember that being a diamond player mean that you don't only need skills but to be a sportmanlike player too. This is the place where only "la creme dè la creme" (in frech is a way to say "the bests") of the LoL community will challenge each other. 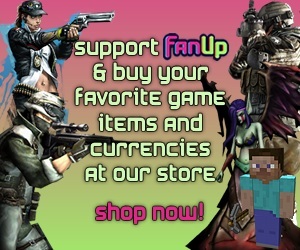 If you are between them and reading this little article, well i'm honored and would be nice to meet you in-game! Players that are here can have some chances to go PRO, in the next season qualifications (season 3 solo ranked queue qualifications closed right before X-mas). In about 10% of the cases you will play against a PRO LoL player like Ocelote and many others (especially in the Divisions II [top 90 players] and I [top 45~50 players]). Someone can see this system really exciting, since is much easier to get the upper tiers once you reached the Silver tier but, trust me, it isn't. That's all my dear readers, if you like don't forget to fan it and give a comment! I should have posted this some months ago >.< the new ranked system care is not that new now.